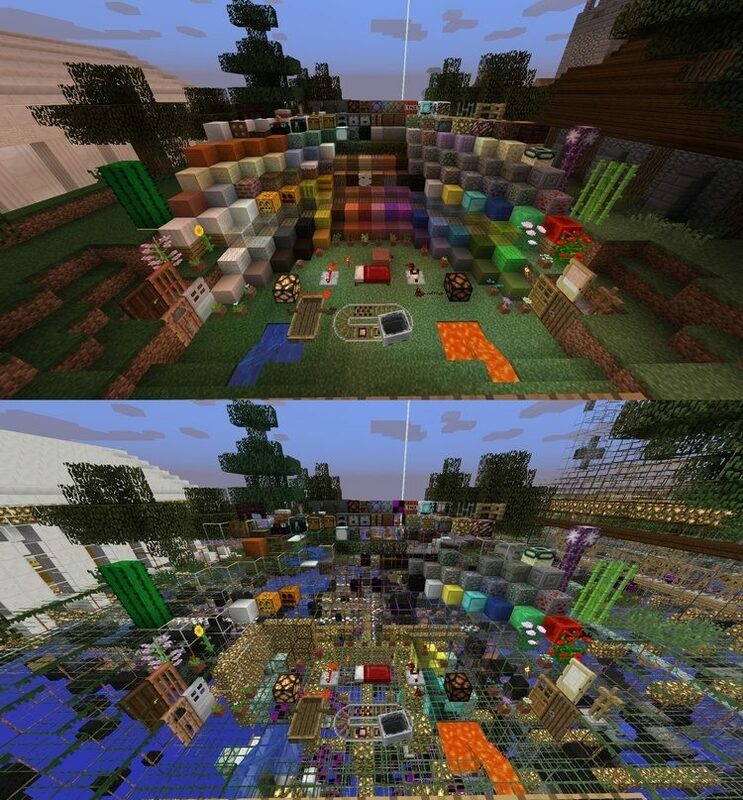 Instead of changing the texture of the game, Xray Ultimate Resource Pack 1.11.2/1.10.2 is a resourcepack helping players replace x-ray mod (a mod helps to see through objects). 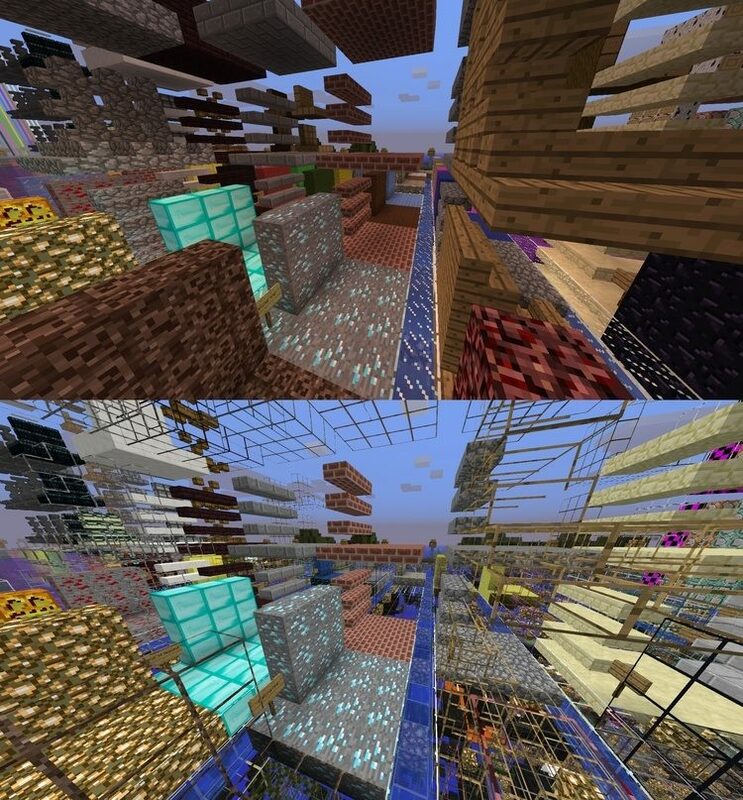 Compared to x-ray mod installation, the use of resourcepack is “safer” when playing in serves that the plugin against fraud, but you should limit your use because it imbalances the game. 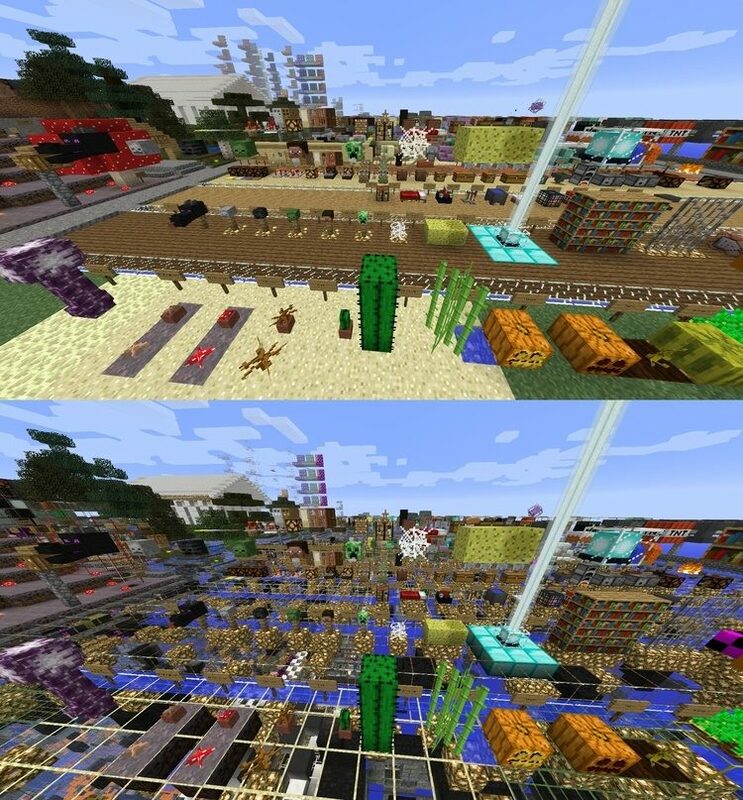 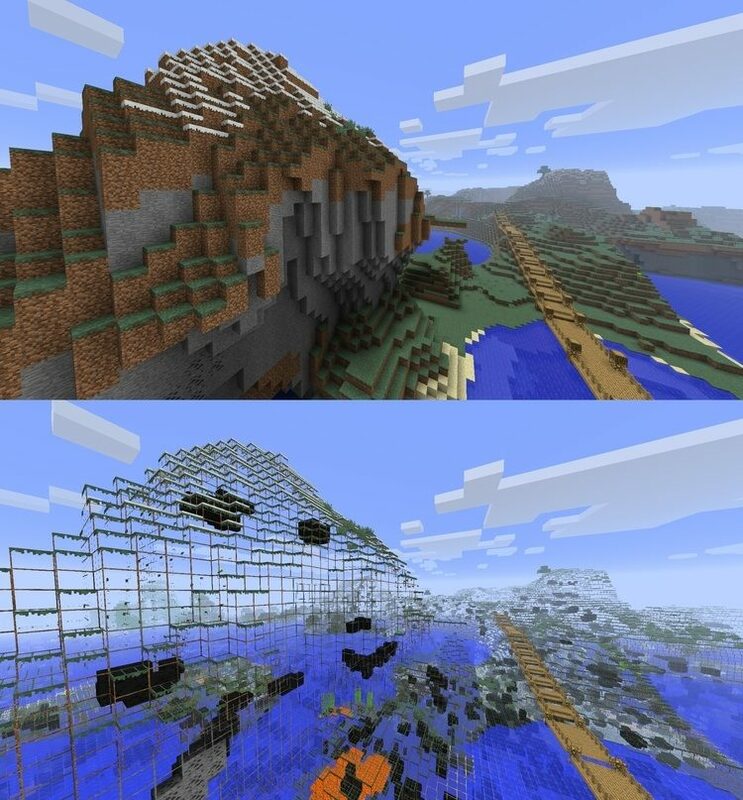 Resource pack default (above) and Xray Resource Pack (below).